Green – this is what a SITE OF THE FUTURE in Saxony-Anhalt looks like: Green Gate Gatersleben – The Plant Biotech Centre is the initiative by all companies and institutions of plant biotechnology and the public authorities on the Biotech Campus in Gatersleben. The site is located in one of the most fertile areas of Germany, in a historical and current centre of plant breeding, and is now the centre of excellence for plant biotechnology in Germany. The starting point is the Leibniz Institute of Plant Genetics and Crop Plant Research (IPK) with the central federal ex-situ gene bank for agricultural and horticultural crops. The various actors of Green Gate Gatersleben offer commissioned research and other services for biotechnological companies and enterprises from the agricultural, pharmaceutical and chemical industry. 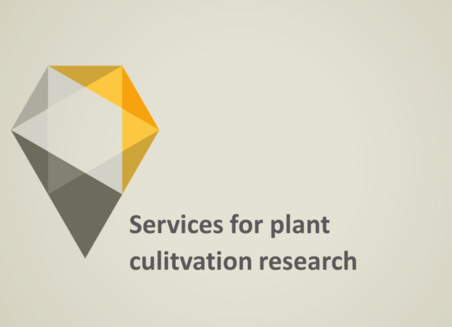 More than 150,000 samples of cultivated plants are kept in the gene bank at the Leibniz Institute of Plant Genetics and Crop Plant Research (IPK) in Gatersleben and made available for research purposes. This big cold store, kept at temperatures of minus 18 degrees Celsius, is a Noah’s Ark of modern agriculture. The seeds gathered here can stay germinable for up to 150 years. In four scientific departments, 250 scientists from 40 nations are carrying out research into almost everything that grows! This covers the whole scientific value chain, from basic research to questions of applied biotechnology and breeding. The plants of the future will have to fulfil new requirements. For example, they will have to be adapted to changes in the climate. In plant breeding, so-called molecular markers are important as diagnostic tools for finding corresponding characteristics, in order to be able to trace the inheritance of these characteristics. TraitGenetics GmbH, founded in 2001 in Gatersleben, specialises in the development and analysis of different molecular markers for research into biodiversity and plant breeding. The customers of TraitGenetics come from Europe and all over the world, representing breeding companies as well as national and international research institutions.